Turkey on Saturday condemned China's treatment of its Muslim ethnic Uighur people as "a great embarrassment for humanity", adding to rights groups' recent criticism over mass detentions of the Turkic-speaking minority. A famous musician and member of the Uighur ethnic group has reportedly died after being held in a Chinese prison, with supporters claiming he was tortured to death. "This tragic incident has further strengthened the Turkish public's reaction to the serious human rights violations in Xinjiang Region". 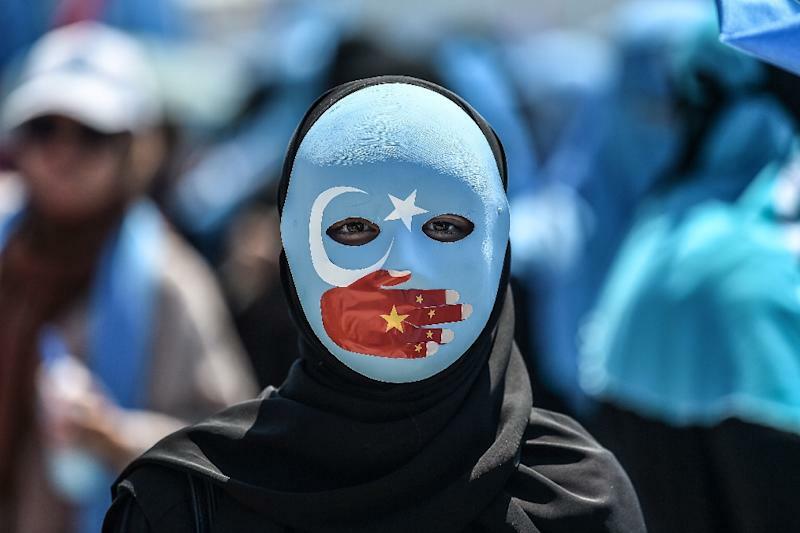 "The systematic assimilation policy of Chinese authorities towards Uighur Turks is a great embarrassment for humanity", Turkish foreign ministry spokesman Hami Aksoy said in a statement. The detention and "re-education" of as many as 1 million minority Muslim Uighurs in China's far west has been condemned by human rights groups and prompted calls for sanctions from USA lawmakers, who reject China's assertion that the camps are voluntary education centers that help purge "ideological diseases". "We call on the global community and the Secretary General of the United Nations to take effective measures in order to bring to an end this human tragedy in Xinjiang", Aksoy said in a statement, published on the ministry's official website late on Saturday. "In such an environment, we've learned with great sorrow that dignified poet Abdurehim Heyit, who was sentenced to eight years in prison for his composition, died in the second year of his imprisonment", he said. The Uighurs are a Muslim Turkic-speaking minority based in the north-west Xinjiang region of China. The foreign ministry spokesman voiced Turkey's expectation from Chinese authorities to consider reactions of Turkish people over serious human rights violations. China's Xinjiang region is home to around 10 million Uyghurs. Beijing has stepped up surveillance and security measures in the Uighur homeland of Xinjiang, in China's northwest, since ethnic riots erupted there in 2009. Rights activists urged European and Muslim nations to establish a UN investigation into China's detention and "forced indoctrination" last week. Abdurrehim Heyit, an Uighur poet and a musician renowned with his songs narrating the Uighur history and culture was born in Kashgar city of Xinjiang Uighur Autonomous Region, in 1964. In its last report released on last September, the Human Rights Watch blamed the Chinese government for a "systematic campaign of human rights violations" against Uighur Muslims in northwestern Xinjiang, an autonomous region in the country.